OLD PARKED CARS. 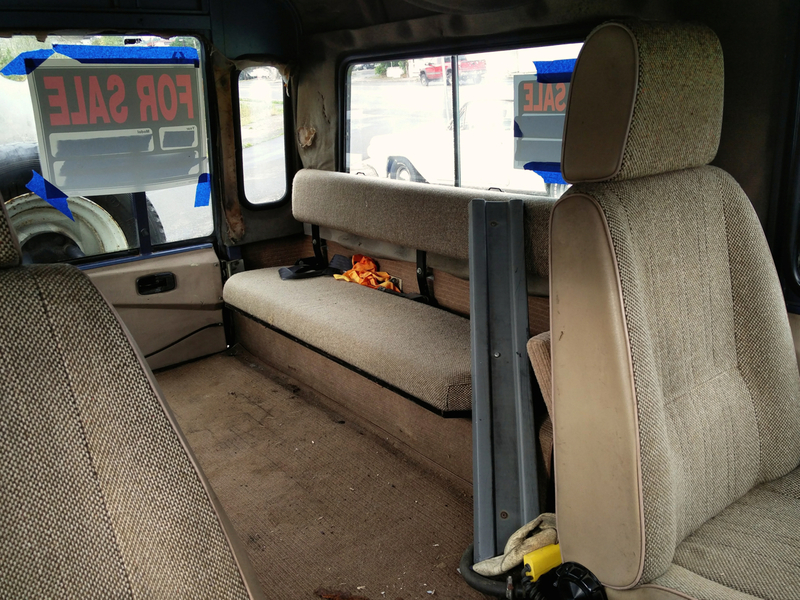 : 1989 UMM Alter II. ... how much do they want for it? 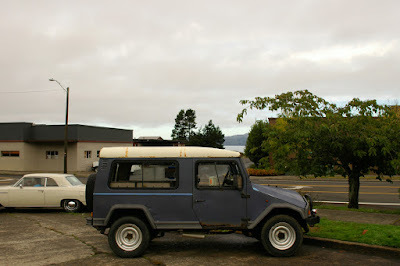 Of all the vehicles to find in Oregon, an obscure Portuguese 4x4 is the last i'd expect to see. I'd never even heard of one of these till now! Looks pretty cool! O-K, this thing, and another classic driver in the background....yeah, now I know, the PNW must be in a time warp!!!!!!! UMM . Manufactured in Portugal initially for the military FORCES . The engine is set back from the front to consider the of gravity center , "weight" when these jeeps are launched from parachutes fall balanced, landing with all four wheels on the ground. They were also an model it participeted of Ralye Paris / Dakar. 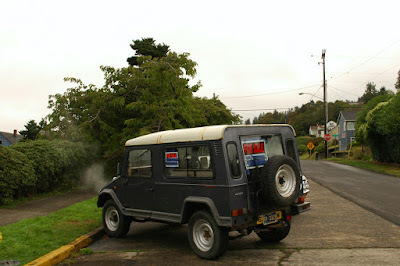 You can bay in Portugal used one between 2.000 , 4.000 euros. If you have interesting in UMM, more information about UMM you do not hesitate contact me . I want to get one, just so I can go to the auto parts store, and when they ask me "What kind of vehicle is this for?" I can say "Umm...."
Driving stick with the left hand means you can get carpal tunnel in both wrists haha. Hi Pete good morning , yes you can say UMM it is correct. I respect but do not give answer to the anonymous.Sorry. A beautiful day to all. Well other than it's insane obscurity it's not very physically attractive, just look at the front end compared to a Series or Defender from Land Rover. you can see Alter name of the small village of Portugal. Alter it the same Seat Ibiza , Toledo , Leon , etc names of Spanish city. Hor-hay(Jorge) thanks for your informative comments. I have been following you guys for some years now,especially Tony and his homing missile blog that got me curious about Portland and that i find beautiful,but i never expected you guys to find a portuguese UMM and a right hand drive at that. I didnt even know it was produced for the UK market because of the low production numbers. 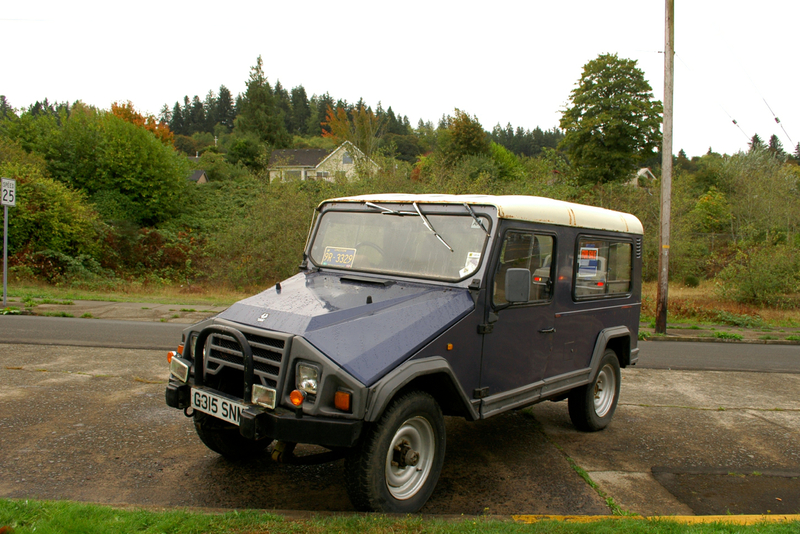 It is a very tough off road vehicle especialy its thick sheet metal used in its construction and its Peugeot running gear that seems to run forever. Chears guys. This is the second one of my vehicles that I've seen posted on OPC. This was taken across the street from Safeway in Astoria where I currently live. The other vehicle of mine that someone posted up here back in 2013 was my green and white 1966 Chevy Sportvan parked along North Willamette. To the people asking "how much? ", I am selling it for $3500. Keep up the good work you guys!